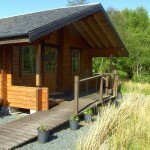 Self Catering log cabins and Pod holiday accommodation on the beautiful Isle of Mull. 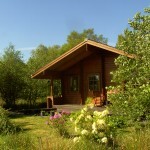 Welcome to Hart of Mull Self Catering Log Cabins and Pod accommodation on the beautiful Island of Mull. Our Self catering cabins are central on the island allowing you to have a base to go from each day to explore the island. We can now take online bookings and payment. 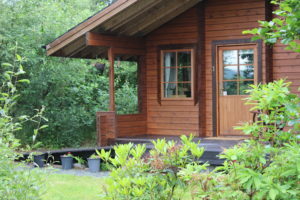 If you want a short brake in cabins 1 or 2 for less than a week in high season then please contact us direct for availability by e mail phone of Facebook message. 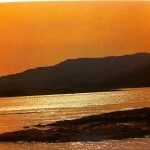 Isle of Mull is the perfect place to come to unwind. It has plenty to offer what ever you want to do. 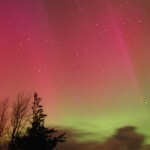 We can offer individual holidays or family getaways sleeping up to 12 guests in our 4 properties. Please get in contact via phone call, text,email, Facebook or twitter. 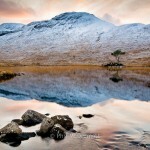 We look forwards to answering you question and helping in any way we can. 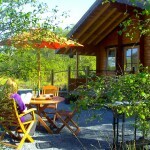 Our Self catering log cabins are from Finland and are built to high standards and well insulated. 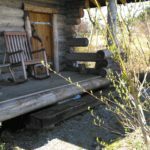 Our Barrel sauna can be hired separately for the week with cabin 1 or 2, subject to availability. 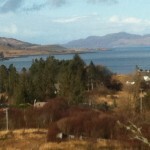 Hart of Mull is set in one and a half acres of land down a quiet lane on the edge of the village of Salen. 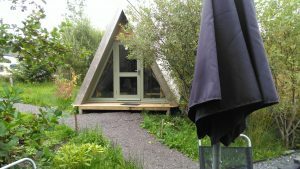 We now also have two smaller cabin, we call our camping or glamping cabin and our Pod. 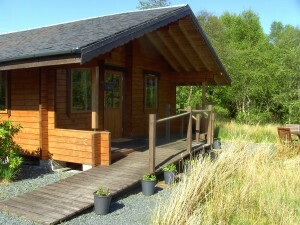 Please have a look at Accommodation page to see our 4 different log cabins accommodation. Accommodation to suit all. 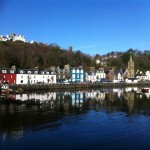 Salen village is just a five minutes walk away where you will find local amenities, these include a hotel with bar, restaurant, post office, garage, and well stocked shop. Salen is a Small village set on the east coast of the Isle of Mull, it has its own bay with rocky islets looking on to the Morven and Ardnamurchan peninsular which is the most westerly part of the British mainland. 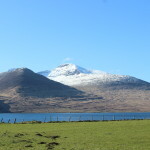 Isle of Mull has many different views and beautiful sights to see. 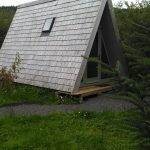 Book your self one of our self catering cabins, camping cabin or pod for a perfect base to tour the whole Island and begin your adventure. 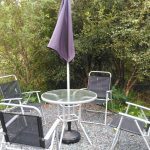 Centrally situated Hart of Mull is in the enviable position of having good access to all places on the island, we are equidistant between Tobermory and the ferry terminal at Craignure yet only two and a half miles from the spectacular west coast. 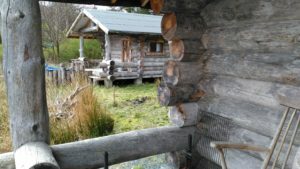 Hart of Mull Log Cabins are easily got to by car, bus, bike or on foot. 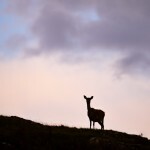 Isle of Mull is part of the inner Hebrides off the west coast of Scotland and is famed for its outstanding natural beauty, from rocky bays and white sandy beaches to its mountains and moorland and the wildlife is as varied as its scenery. Here Eagles really do fly. 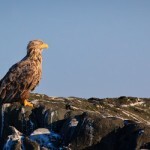 We have both the White tailed eagle and the Golden eagle here and they can be seen soaring in the skies along with many other raptors. There are many other birds for the keenest of bird watchers to observe and there are organised trips on the island led by experienced guides with the best local knowledge. 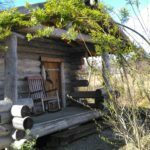 What ever the weather has to offer from clear starry nights to cloud or snow caped mountains to glorious sun sets and rises and everything in between and you know you have a cosy log cabin to return to at any part of the day to just sit and relax on the veranda and have a BBQ. or add the luxury of our log heated sauna for the perfect peaceful way to relax. 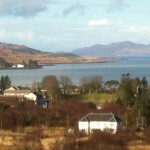 Whatever you want from your self catering holiday here on the Isle of Mull, Hart of Mull is the ideal base. Smoking is not allowed in our accommodation but is allowed in the grounds. 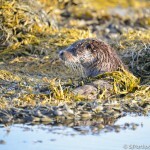 We do not take pets here at Hart of Mull. 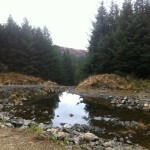 If you would like to book any of our accommodation please either e mail or phone us or use the online booking form. Or just for availability please fill in our Availability request Form. or click the book now above and fill in your required dates or just give us a ring on 01680 300545 or text 07926691587, you can also contact us through Facebook. 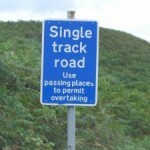 We look forwards to you contacting us.